Public Wi-Fi is nearly everywhere now, including Starbucks, McDonald’s, public libraries, university campuses and even some public parks and urban hotspots. The ability to connect to the Internet is unbelievably convenient because you can do your work and catch up on emails without being chained to your office, but it can lead to computer security breaches. You can take simple actions to stay safe on public Wi-Fi. When you connect to an unsecured wireless network, anyone on the network potentially has access to your computer and everything you are doing on the Internet. A motivated hacker may get your credit card number and security code, your birthday and social security number, your name and your address and telephone number. They may grab data from your files, such as your bank account information or other accounting spreadsheets that you keep on your own computer. These simple tips can help you stay safe on public Wi-Fi. Encryption turns the information that you send from your computer into coded messages. Potential hackers will not be able to understand the garbled mess, and will not be able to get the data they want. Only use encrypted sites when you are on public Wi-Fi. You can tell by checking the beginning of the URL. A URL with “https” at the beginning is encrypted; the “s” stands for “secure.” Only use encrypted email connections, too. Your webmail probably supports a secure connection, and the help page can provide step-by-step instructions. 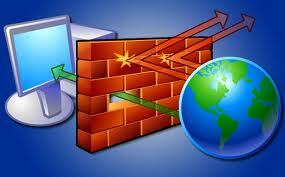 Firewalls protect networks against file-sharing. When you connect to Wi-Fi, you are connected to a network. Normally at home your firewall is down because you want your home computers to share your wireless internet and your files. When you are using public Wi-Fi, you need to make sure to put a firewall up to prevent file-sharing with other users, or potential hackers, on the public Wi-Fi network. Cookies track the sites that you have visited and remember your usernames and passwords so that logging in is faster the next time. However, cookies make data breaches easier because your personal data and history are stored in your computer cache. Before you connect to a public Wi-Fi, delete your browsing history and cookies so that outsiders cannot easily trace your internet use and passwords. Always think about what you are doing when you are on a wireless network, and try to avoid transactions that require a lot of personal information, such as shopping, paying bills and banking. Try not to use your credit card or enter your social security number when you are on a public wireless network. Use distinct usernames and passwords for different accounts so that the rest of your data will not be compromised even if a hacker manages to guess one set. Log out of sites when you finish using them instead of staying perpetually logged in. Turn off your wireless if you’re carrying your laptop outside your home and not using it. Wireless hotspots are not all security-protected, so your computer may connect to a public network as you pass by, exposing all of your data to the world. 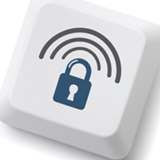 A virtual private network, or VPN, can encrypt your data after you use a public Wi-Fi so that others on the network cannot access it. Examples of VPN providers include HotSpotVPN, PublicVPN, JiWire and Witopia. You’ll have to pay for VPN service, with a possible monthly fee around $15, but if you frequently use Wi-Fi connections the money is worth it. These are a few easy options for staying safe on a public Wi-Fi. They can save you a lot of time and hassle in the long run by keeping your computer secure. 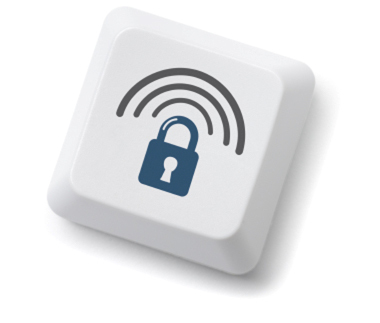 What suggestions do you have for staying safe on public Wi-Fi? I have to use public Wi-Fi a lot of times. Thanks for these tips as these wil help me to protect myself. I am very cautious in using public wifi since it can be a threat to my pc. However, I always make sure that my pc is geared up by all kinds of protection. Thanks for the reminder. Thanks for such a useful information about internet users ! It helped me a lot in improving my knowledge to protect our internet to hacker. nice one. Thanks for the great informastion you have here for us…I know this can be a big help to me. It is always important to stay safe on public Wi-Fi. I'm sorry to hear that your email was hacked, that can be such a hassle. Hopefully it will not happen to others that read this. Very good advice. With the number of Wi-Fi hotspots available now there is always a risk. I did do an article on another way to protect yourself on these kinds of networks and that was by using VPN. Yes they cost money but if you are someone who uses Wi-Fi hotspots often the cost is often worth it. Great post look forward to reading more. Excellent advice on an important topic. I will definitely be sharing this. I had my email hacked by logging in using a public Wi-Fi hotspot once, making me painfully aware of the vulnerabilities of connecting this way.